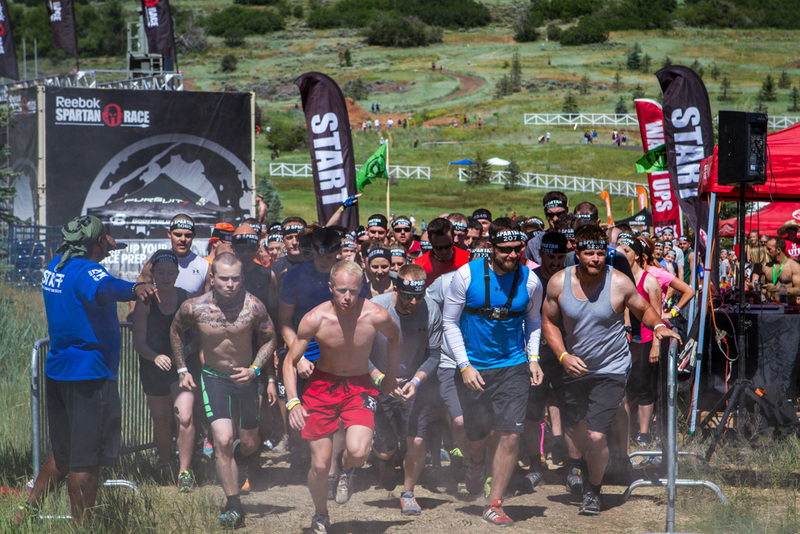 Soldier’s Hollow, 20 minutes outside of Park City, was the site of Utah’s Spartan Beast, held in late June of 2014. Groups of pumped-up racers started onto the 12 mile course every 15 minutes. 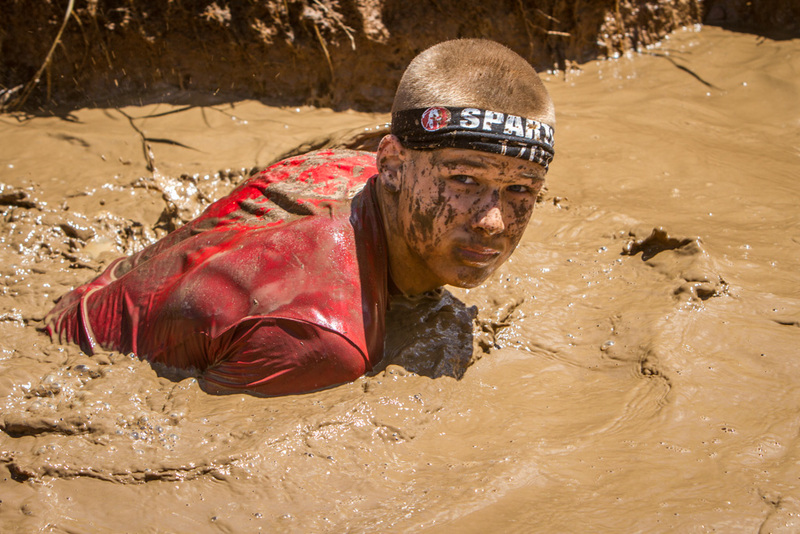 About 6,700 Spartans attempted the course that day, with about 90% expected to finish, according to race officials. 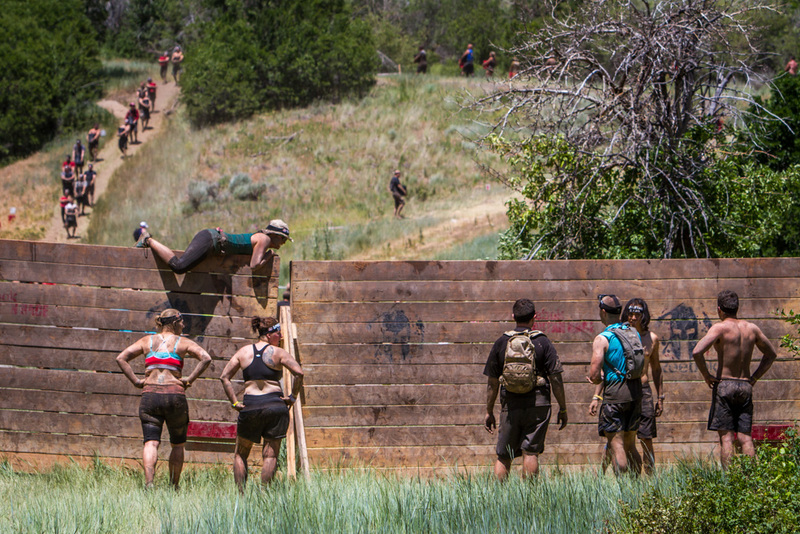 The wall climb, in various forms, is the most common obstacle a runner will face during the course. From what I witnessed, there is a high level of camaraderie and teamwork amongst participants at all levels. 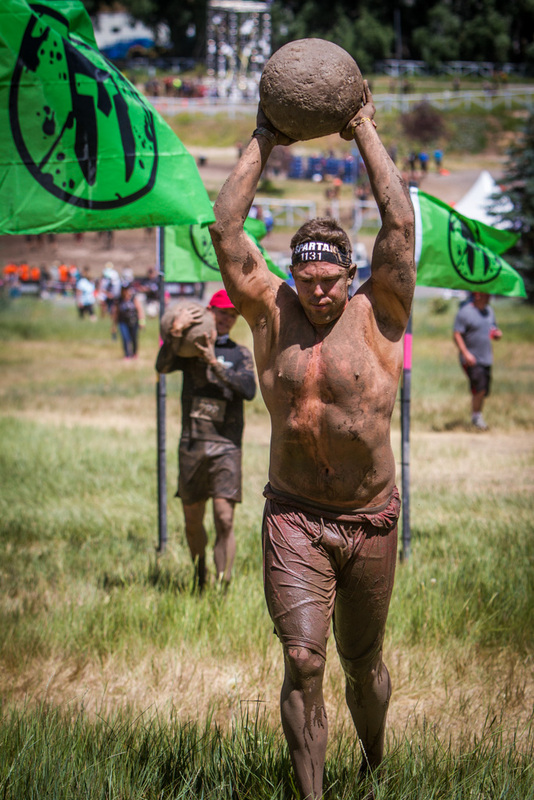 While most struggle to carry this heavy stone, this beast made little work of this obstacle. 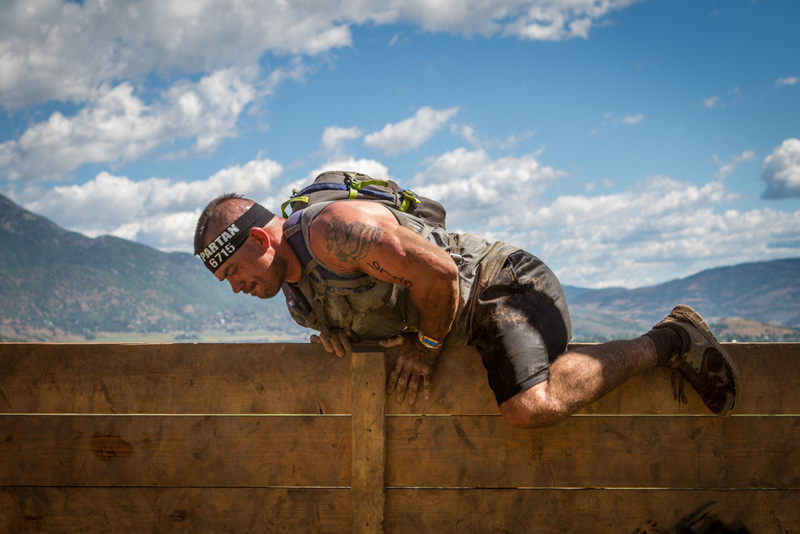 If you can’t finish an obstacle, or choose not to, the alternative is 30 burpees. 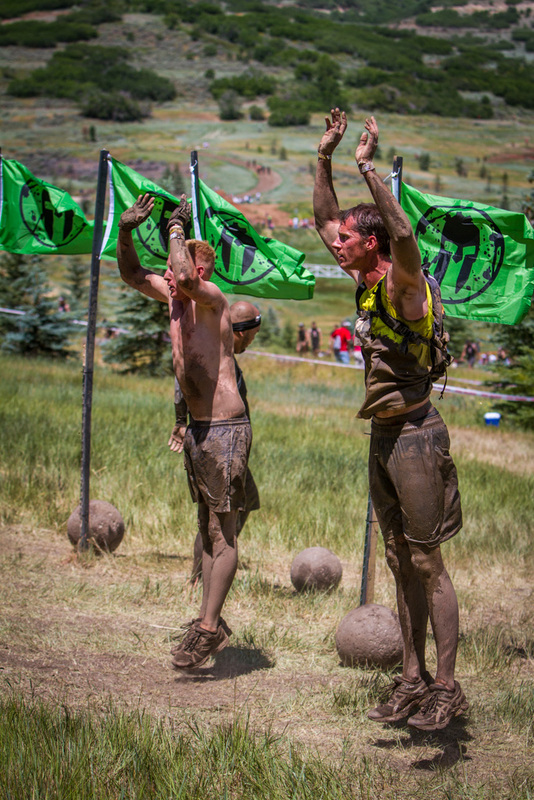 These burpees, however, were part of the obstacle. 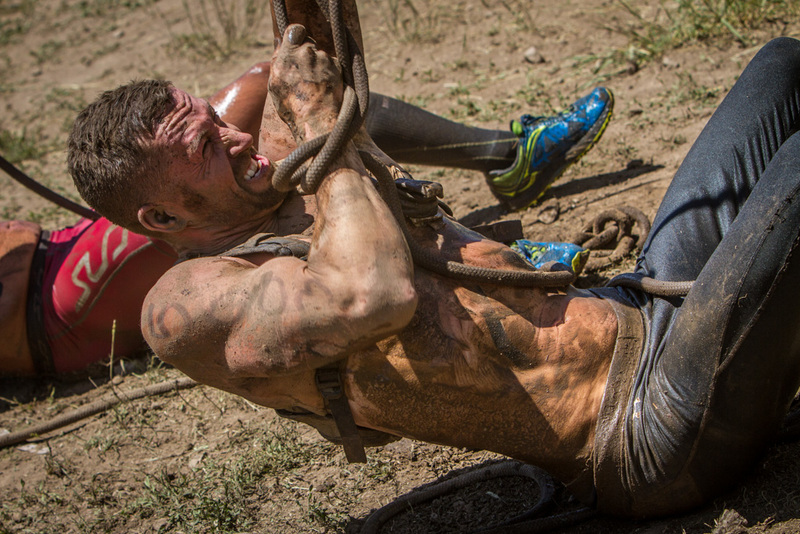 The cargo net obstacle is a hanging crawl over a mud pit where you must ring a bell at the end. Participants at the bag hoist have to pull a sandbag roughly 30 feet and lower it gently. 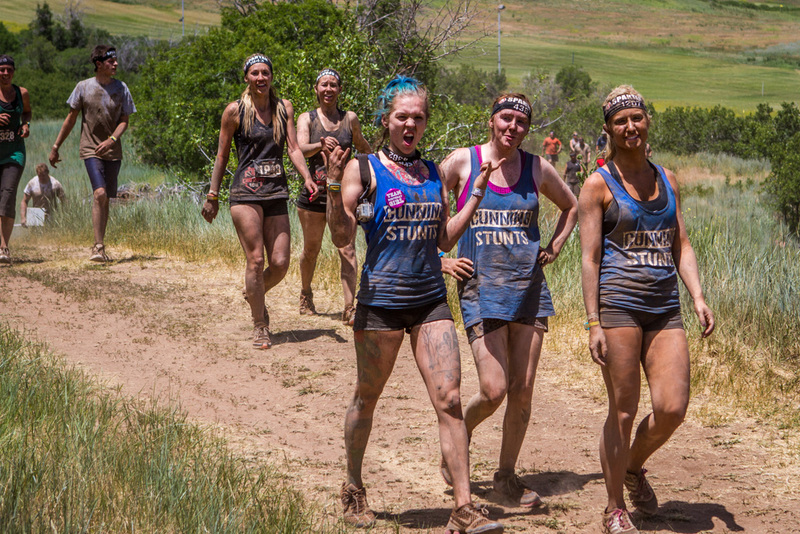 Most participants run the race in small groups, often with a theme. 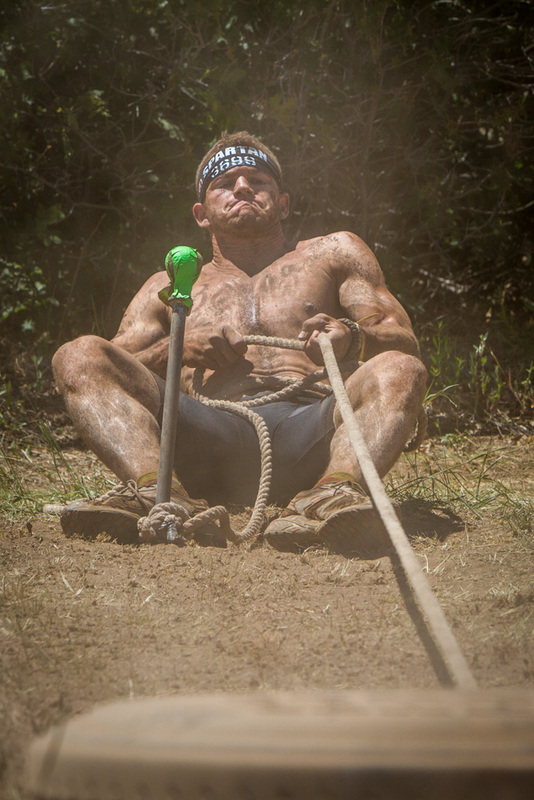 The tire pull obstacle involves dragging a tire a specified distance and then dragging it back via the attached rope. 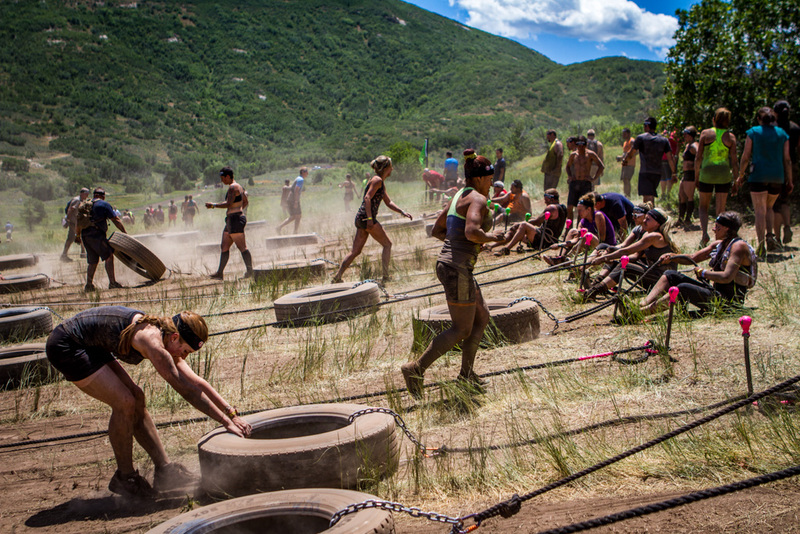 The tire pull was placed about halfway through the race, a perfect spot to sap your strength. 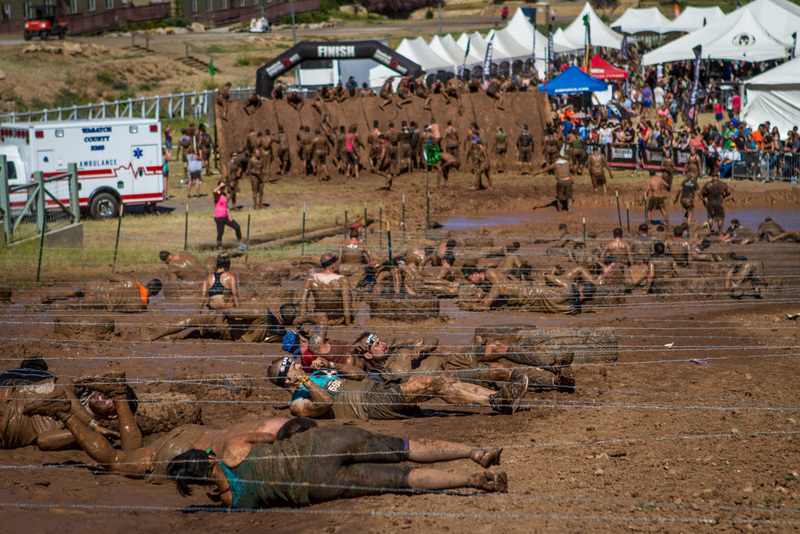 The final mud crawl was about the length of a football field under barbed-wire. 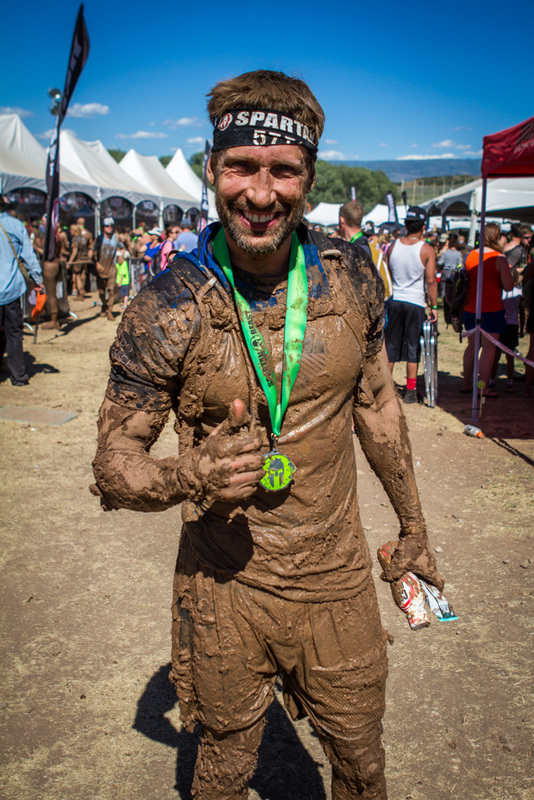 All smiles, this Spartan participant gives a thumbs up after the race. I bet he can’t wait for the next one. 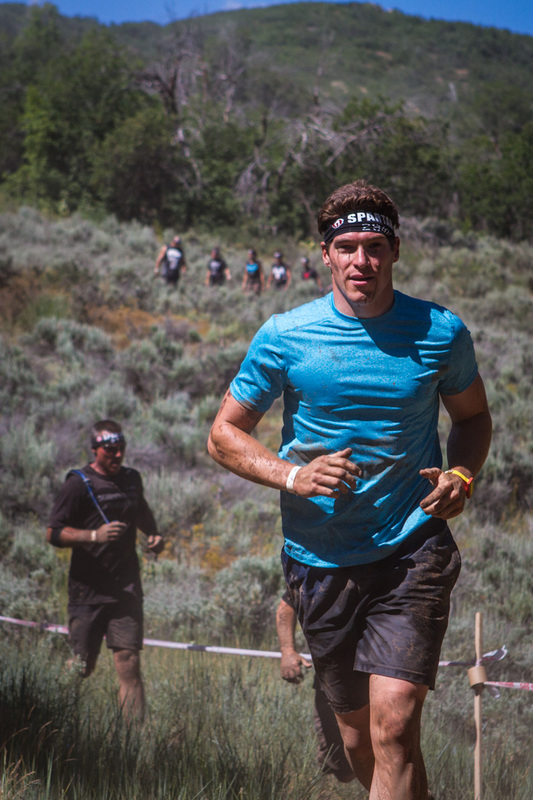 The following images were taken at the Spartan Beast held June 28th, 2014 in Soldier’s Hollow, Utah. 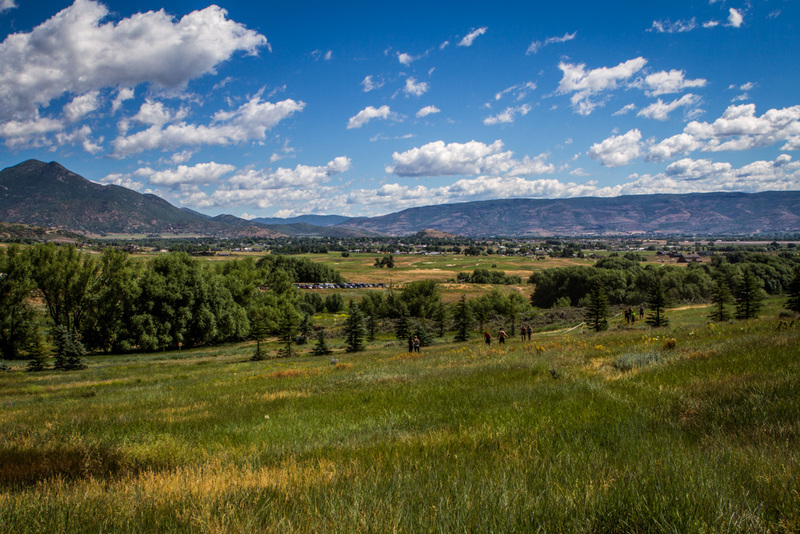 About an hour outside of Salt Lake City, this was a gorgeous location, and the weather was perfect for the event. I tagged along with my brother and a group of his friends as they took on the course. 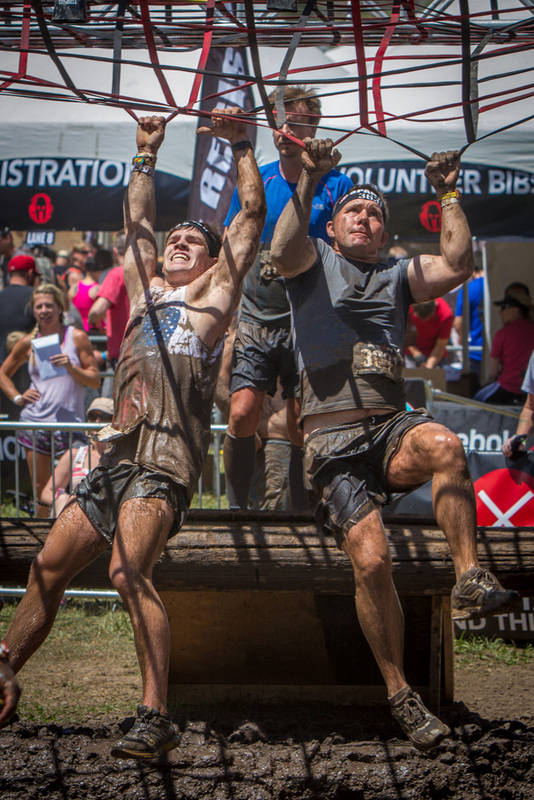 Find out all about the barbed wire, mud pits and wet socks in the full write-up, which also has a few more images from the event.